With its diverse natural scenery, a warm tropical climate and abundance of public beaches and ocean surroundings, Hawaii is a popular destination for tourists and newly-weds alike. March to July sees temperatures in the high 70s to high 80s (fahrenheit) while October and November temperatures are in the mid 80s. November to March is the rainy season, but temperatures rarely drop below 70. 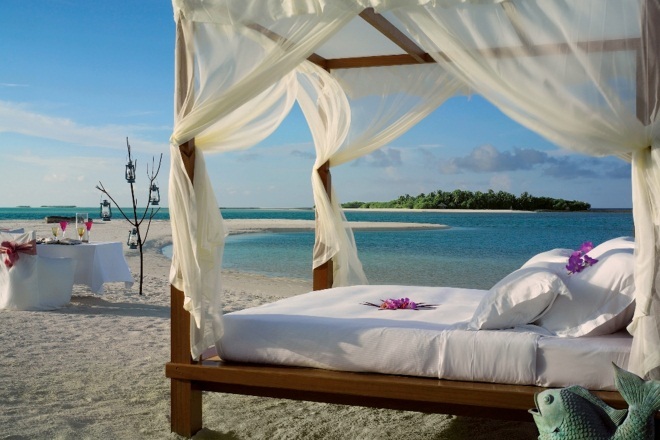 Head to the Maldives if you want an intimate, secluded honeymoon, with many of the resorts being individual islands. Dine under the stars, enjoy watersports or just laze around in your private bungalow, what could be more romantic? The dry season (northeast monsoon) is between January and March. The wet season (southwest monsoon) runs from mid-May to November, however the weather is usually picture perfect, with an average temperature of 86f. With Buddhist temples, exotic wildlife and spectacular islands, Thailand is a place for newly-weds seeking something more than just beaches. The weather is generally hot and humid for most of the year, with the landlocked provinces determined by three seasons, the coastal regions have only two. Thailand’s two coasts have slightly different rainy seasons, allowing visitors to find sunny beaches nearly all year round. In the central, northern and northeastern regions of Thailand the weather is mostly cool between November and February, making it the most popular time to visit. Southern Thailand, having only two seasons – rainy and dry, with bearable warmth between late November into April or May. The hot season and so the least popular for travellers, lasts from March to June, with high temperatures and occasional rain. The rainy season lasts from July to October. However, while it does rain during these months, it is more likely to be flash flood type rain rather than the drizzle we enjoy for days at home. Australia is one of the driest continents, with an average annual rainfall of under 600 milimetres. With everything from beaches to mountains, cities and aboriginal communities, there is something for every visitor. Australia’s seasons run opposite to ours with September to November being spring and December to February summer. However, the northern states, Queensland and the Northern Territory, typically experience warm weather most of the time. June to August is Australia’s winter. Southern states, like New South Wales and Victoria experience cooler winters, with Melbourne in particular being known for its changeable weather. 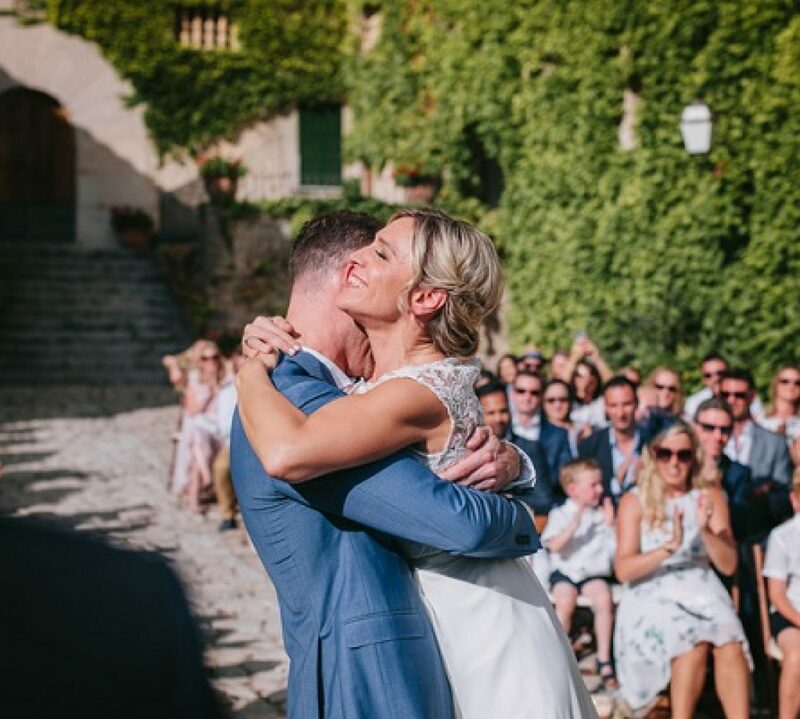 There are myriad possibilities for honeymooners closer to home, especially for those couples who want summer wedding and to be able to jet off on honeymoon straight away. Think Cyprus, France, Italy, Spain (Mallorca!) or the Canary Islands for example. Generally speaking most areas of Europe experience warm weather from May to September, although it can vary from country to country and depend on the winds blowing across the Atlantic. December to February – for the most part, the winter months can be chilly – unless of course you’re looking for a skiing honeymoon and then locations in France and Switzerland are ideal.